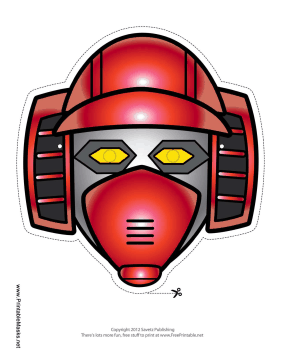 This scary robot mask is red with yellow eyes. His horizontal slit mouth is sure to inspire fear in anyone you meet. This mask is free to download and print.